The Solaris Games are the most popular and prominent gladiatorial games in the Inner Sphere. Centering primarily around combat between BattleMechs, the Solaris Games take place on Solaris VII, a rowdy frontier world on the border between House Steiner and House Marik. MechWarriors from across known space will travel to Solaris to participate in the games, whether seeking fame and fortune or out of desperation, as do countless fans and tourists. The Solaris Games bring in substantial revenues for the planetary government and whichever realm controls the Solaris system, incentivizing them to ensure the games are carried out in an open and forthright manner. Nevertheless, the wealth to be gained in the games also attracts the unscrupulous elements of society, leading to occasional charges of fixed matches, skimmed prize money, and elimination of competitors outside of sanctioned fights. Most Mechwarriors join a Fighting Stable, owned by a wealthy patron who provides all the necessary support for the gladiators and run by a stablemaster. Typically a stable will have between ten to forty MechWarriors employed, with similarly varying number of 'Mechs - some MechWarriors might own their own 'Mech or share it with others, or they might lease it from the stable - along with the technicians and administrative staff to keep the stable running. 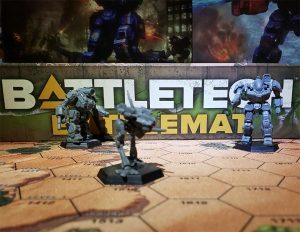 In return for defraying training costs, providing a monthly salary and arranging matches, the stable takes a percentage of all direct revenue brought in by the MechWarrior, typically between 15 to 25 percent. Where the real money is found though is in lucrative merchandising and broadcasting rights, which by contract belongs to the stable; a typical MechWarrior might receive up to ten percent of that revenue, though prominent fighters are in a position to demand more. While most come to them from all across the Inner Sphere, the fighting stables are always on the hunt for new talent and many offer internship programs for teenagers as a form of secondary education. Generally lasting three to four years, these internship programs will teach the students the skills needed for a given profession, such as a MechWarrior, technician, promoter or stable manager. Once completed, the intern is pledged to work for the stable for a certain number of years, typically four, after which they are free to pursue their own career path. How much a MechWarrior can earn as part of a fighting stable depends partly on their own skill and prominence and partly on the state of the stable. Most stables on Solaris offer fair terms and are usually solvent, though they might run into the occasional financial or maintenance issue. For an unknown newcomer starting out at a stable with a bad reputation for fraudulence and poor support, they might earn as little as 250 C-Bills a month, while a superstar fighting for one of the more elite stables might bring in more than 2,500 C-bills a month. However, beyond having to give up a portion of their winnings, there are other drawbacks to being a member of a fighting stable. Before they can fight, a gladiator must obtain a dueling license from the Solaris Civic Council which, depending on the arena class they want to fight in, can cost between 5,000 to 50,000 C-bills (a waiver can be obtained instead for each individual fight, but at double the cost). Often the stable will defray the cost of the license, but in return hold ownership of it, making it more difficult for the gladiator to leave their service. Furthermore, many stables require that a member place a "surrender bond" which is given up in case the warrior losses a match by capitulation. This bond is typically valued between 50,000 to 250,000 C-bills, encouraging many warriors to keep fighting until they've lost (or more likely been killed) rather than give up. On the other hand Some MechWarriors will instead form or join a Cooperative, coming together to provide mutual support to each other. These cooperatives have little financial support or backing, with the 'Mechs either owned individual and/or jointly by the MechWarriors involved, and generally command fewer resources than found in the average fighting stable. Cooperatives suffer pressure (often direct intimidation) from regular stables and crime syndicates, which usually makes them though, professional and protective of their members. Finally, some MechWarriors who fight is smaller leagues or minor competitions for Teams. Those Teams also usually only fight in the collective matches (Team Matces, Tag-Team Matches and so on). For a list of fighting stables and cooperatives, see here. Finally, some will try to gain success as lone gladiators in the Solaris Games, and though it is possible, the system is set up to work against such competitors. The Games have evolved a lot during the years. They started more as single contests between different companies trying to showcase their designs, but over the years they have become more contest for the ego of the MechWarriors... and for the money moved behind. Six classes have been organized to classify the contests. Class One - Exoskeleton: Duels in Class One are lost or won more by the usage of creative tactics than raw firepower. Class Six - Open: Duels in Class Six usually offer a mix of tactics, firepower, speed and style not seen in any other class. While the other Five Classes are open to specific 'Mech weights, Open Class combats are open to 'Mechs of any class. Only the five Solaris City Arenas are enabled for Open Class combats. Though Armor, Aerospace Fighters and BattleMechs compete in the Class Two, Three, Four and Five, it is very strange to see then fighting in Class Six Arenas. When all the contenders agree to fight under Weapons Dead rules (instead of Weapons Live), all the ranged weapons are rendered inoperative and the fight is to be done only using melee combat. The ammunition bins might nevertheless be left loaded for devastating yet crowd-pleasing effects during the battle. Though most matches are fought until one team is destroyed or crippled, there are cases when MechWarriors or Stables are eager to avoid the total loss of their machines, surrender once they absorb enough damage. A surrender is broadcast on a general Arena frequency that can be picked up by the opponent's machine, and it is accompanied by the firing of a surrender flare for the benefit of the audience. Perhaps the most famous event associated with the Solaris Games is the Grand Tournament, an annual single-elimination tournament taking place typically during the latter half of the year, which pits 128 of the best MechWarriors against each other until only one is left standing. The champion takes home a half-million C-bills in prize money and other perks, and is guaranteed to be offered lucrative merchandising and broadcasting rights. They will also be challenged to defend their title, producing more matches which can generate almost as much wealth as the championship itself. If the champion loses one of these the title is suspended until a rematch or a new Grand Tournament is held, whichever comes first; if the champion loses again, the title is transferred to the challenger. Every year a Top 20 rank is published by Class. Of course, Class 6 (Open Class), the most famous one, is the one displaying the most well known MechWarriors in the Arenas. This is the Top 20 Unlimited Class historical rank. This is the list of Class Champions. A MechWarrior must be 18 years old to fight in the circuit, but there are known cases (with bribes in the middle) that have allowed younger MechWarriors to fight. Solaris dueling regulations are surprisingly light on the subject of drones (except in the championships which have had strictly-stated humans-only directives ever since the Jihad), and some have questioned the point of sending robots to do a MechWarrior’s job. On 3146, during the Dark Age a lot of spectators and stables were eager to see how well some drone 'Mechs fare during one of the tournament exhibitions being scheduled for the year (the S7RFT. Also the Republic of the Sphere was testing the Drone Command Console in an off-circuit tag team tournament. It is not strange that during the year a Champion is asked for a title match outside of the Grand Tournament. The rules that cover these matches if the Champions looses are unknown, though in theory he looses the Championship Title. One example of title defense is the fight between Kai Allard-Liao and Wu Deng Tang‎‎, that ended with Kai's victory. While the Grand Tournament is the biggest draw on Solaris, a large number of fighting events take place year-round, many drawing an impressive amount of betting in their own right. Getting accepted into a tournament or league or finding an opponent for a challenge match depends greatly on what class the fighter is participating in, their prominence, and the reputation of their fighting stable or cooperative. Likewise with the size of the purse, the prize money which goes to whoever wins the match. For a match between a couple of relative unknowns going at each other in exoskeletons, it might be as little as 250 C-bills; a match between some minor leaguers in medium 'Mechs might reward between several thousand to tens of thousands; an epic bout between two prospective Grand Tournament champions in an Open Class arena can have a purse in the hundreds of thousands of C-bills. This is the most popular form of combat in Solaris. The goal is simply to be the last unit on the field and under its own power at the end, hence they are fought unit one combatant is destroyed, disabled or surrenders. These are matches usually set up as a sporting promotion or a grudge match between two fighters with no impact on any other tournaments. They are a sub-type of Single Duels. Some matches are not sanctioned by the Circuit and are just charity matches where the pilots might (or might not) have something to prove. Hendry Vs. Metz is one of the most well know fights of this type. A free-for-all match (often referred as Grand Melee) is a form of combat that involves from three to six sides each consistent of one MechWarrior. Each side battles all the other contenders until only one warrior is in control of the field. The Freak Show Entertainment was not strange to organizing these kind of combats. In these kind of matches, from two to four teams fight in pairs or Lances of 'Mechs of different stables doing battle until one team is left standing. Sometimes the fighters do not belong to any stable but are just a Team. The organization of this matches tries that all teams must contain the same number of units and should contain roughly the same technology level and weight classes. The most typical example of Team Match is a one versus one team. Though not as usual, matches between more than two sides can easily escalate into large-scale free-for-all fight. These kind of matches were popularized by the O'Bannon sisters, these are a type of Team Matches that pit two teams between two to four MechWarriors each against one another. Only one MechWarrior from a team may fight at a time. The other remains in the starting area until tagged by his or her partner or are destroyed, disabled or surrender, when the next fighter becomes active. A unit can be activated up to three times. Final victory goes to the team with the final active contender. On 3053 no official tournament has approved this kind of matches, but these fights delight the crowds and only time will tell if this style will become more officially acceptable. Those are combats fought outside the Big Five Arenas (basically the Solaris Reaches Arenas and/or smaller Arenas through Solaris), and by less known fighters (and usually also less skilled). Some of the big players started they careers in the smaller leagues. These are less popular and more common among the lower class arenas are leagues where, over the course of a year, between twenty to thirty MechWarriors fight in a round robin format. In addition to the prize money, the fighters win points with each match - 3 for a win, 1 for a draw, 0 for a loss - until they have all fought each other and the one with the most points is declared the winner. The combats have a time limit after which is both contenders do still have functional 'Mechs the combat is marked as a draw unless a panel of judges decides it is a win/lost for one of the contenders, though this decision can be different depending on the League. Many spectators dislike the repetitive nature of league matches, though some Solaris connoisseurs regard them as the best way to judge a fighter's talent. Solaran League of Independent Stables - known for their full lance-on-lance BattleMech matches. Usually with the same format as the Grand Tournament, some of the Arenas also organized during the year some tournaments to spark attention and discover new gladiators. The most common and popular are championship tournaments structured similarly to the Grand Tournament, using either a single-elimination or "best of three" elimination scheme to determine the final winner. A Tournament's length is usually short (few consecutive days). The Black Mountain Cup: Celebrated its 200th edition by 3053, this cup was fought in Ishiyama, starting from qualifying rounds until the final itself. The Solaris Lance Championship. The first edition of the Tournament was finally held in August 3054. This was as the name implies the first time an official lance competition was held officially on Solaris Games: this is a Tournament found under Team Match Rules Though the fights are usually with weapons armed, this first final, as per a private agreement between the Stable Masters, was fought Weapons Dead rules but with the ammunition still loaded. The Solaris VII Royal Fantasy Tournament (S7RFT) is a unique exhibition match series tailored to small teams and stables, rather than the major state and conglomerate-backed competitors. It is not known when this tournament started, but it was still active during the Dark Age, and for sure still on 3146. The Other Circuit describes those combats which are really less official than any of the other venues described previously, in most cases the non-'Mech related or the ones related to 'Mech combat but not to actual duels. First one is the one where AgroMech fight between them till one of both is taken out. with very few weapons or directly without weapons, these are combat usually fought with pure physical attack strenght. Second one is where combat is done beetween unarmored free-style fighters. During the Dark Age, with the increase of non regular arenas, this type of combat increased. It helped several Arenas like the Black Hills Urban Combat Zone, Tennessee Valley and Arena Amazonia were actually created. Fighting went around scoring points. Scoring was simple: aggressor team had to made it past three to four defenders, taking out as many as they could, to reach a specific house in a target area. Then they cleared the house. A win was one aggressor in the house, alive at the final whistle. Payment was based on points earned through kills and captures. Clearing the house doubled the aggressor's money. These type of Match evolved while trying to bring Tactics into the Games by giving the combatants something other than blasting his enemies armor. One marker is placed at each team's start point, and to win one side must capture all markers from its opponents and carry them back to their starting point while still having their own flag there. Markers are electronic beacons rather than actual flags and can be "picked up" regardless of the unit having hand actuators or not. The unit must ten get safety back to its home designation point. The marker cannot be lost in transit unless the unit is destroyed, disabled or surrenders, and in such a case, the "flag" falls to the place where the 'Mech falls. Emphasizing piloting skille and machine performance over brute force and firepower, 'Mech scaled Sports like football and hockey provide an entertainment diversion from the relentless savagery of the circuit Games. These games are though not as famous as the Noisiel Games fought in Noisiel. Tank Derbies have found a cult following in the open arenas in Roland Fields. In those matches haveily armored tanks duke in out with live ammunition using both weapons fire and ramming attacks to win glory and a purse. Matches are fought until one side ends up immobilized or a fight judge declares enough damage has been done that renders the vehicle "tactically killed". With this rules and the banning of incendiary weapons, there is an effort to give the crews a better change of survival, though these precautions aren't always enough. Even with these restrictions, the brutality and high risk of the Tank Derbies never fails to keep fans screaming for more. These matches pit two or more contestants that under a limited amount of time to proceed from one end to the other of a series of pre-set battlefield navigation points while the other opponents attempt to thwart them. The competing units are chosen for identical performance profiles, which leaves the skill of the pilots as the key to win the race. Some arenas that sponsor these type of races are known to add minefields and other booby traps for added effect. Some analysts consider this type of event one of the most intense forms of combat, though it has not yet reached the mainstream Games. In a dogfight duel, the extreme speed of conventional and aerospace fighters chase one another high above of the Grayland continent in kilometers-wide sphere of engagement. Those matches are complex to follow, needing camera feeds and holo-projections to get something. For safety reasons fighter pilots are encouraged to concede if they suffer too much damage, and in most cases pilots can eject if they push their luck too far. Renegades, low ranking warriors, warriors that have lost their Arena Gladiator license by the Solaris Games Commission are not strange to fighting in this circuit, usually no-rules matches done in less savvy arenas, usually even just a pit or piece of terrain. Over a hundred fighting arenas dot the two continents of Solaris, broken down into weight classes depending on the size of the machines they are certified to fight. Most small towns can only support a Class One or Two arena, while larger urban centers can boast Class Three, Four or even Five arenas. Arenas can host matches between 'Mechs up to their Class restriction, though with the permission of the Solaris Dueling Board they may host "out of class" matches. The entry fee to fight in these arenas is commiserate with their class rating: a Class One might cost 500 C-bills, while a Class Five can cost 2,000 C-bills. Of course, an unlicensed fight can occur anywhere on Solaris, but such matches tend to be organized by criminal gangs and lack any of the regulations or safety measures of licensed bouts. Unlike open battlefields, the arenas on Solaris VII are mostly enclosed, with points located throughout via which BattleMechs and arena crews may enter and exit. These entry points feature heavily reinforced doors that are often sealed when matches are underway. Some of the less prestigious arenas on Solaris VII, as well as open fields where units can do battle, permit entrance and egress from a variety of different points. The most famous arenas however are the Class Six or 'Open' Arenas, found exclusively in Solaris City. Each of the five Open Class arenas are located within and controlled by one of the city sectors associated with the Great Houses. The entry fee for these arenas is 2,500 C-bills, but the potential prize money and fame to be gained by fighting in them is worth it. The Boreal Reach arena uses holographic technology, coupled with advanced environmental controls, to produce virtually any setting which can be conceived. It takes its name from one of the more popular such settings, an arctic tundra. The Factory began life as a manufacturing plant designed around accommodating IndustrialMechs, including floor space, hallways and doors large enough to fit them, which has been repurposed for urban combat. Ishiyama ("Iron Mountain") is a man-made mountain through which a series of tunnels and caverns criss-cross, creating a claustrophobic environment in which opponents play a deadly game of hide-and-seek. The Jungle is a pyramidal structure whose interior is designed to resemble the tropical jungles of Spica. The humidity and close-in terrain encourages sharp, brutal matches. Designed with a Roman-esque facade, Steiner Stadium is one of the few arenas which allow large audiences to watch matches in person thanks to a special lostech barrier. 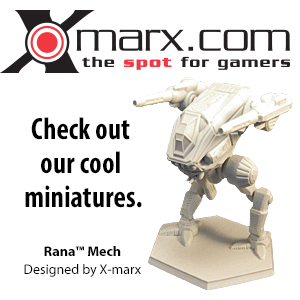 Its featureless floor is a favorite among MechWarriors seeking familiarity. The planet holds several other Arenas, a list of which can be found here. Betting is legal, and has been part of Solaris since the begining. First is was something informal, with with the creation of formalized rules for 'Mech competition, things changed a bit. At the beginning the betting system was unconventional at best, where people bet on 'Mechs rather than pilots (a controversial decision when it was taken), but abuses committed during the 3030s (where low-grade MechWarriors replaced by experienced ones last minute, which changed completely the odds) made the game promoters institute a new system. The new system has a complex equation putting together both the 'Mech strengths and weakness plus the pilot skills. Odds for daily matches are updated continuously. There is an official betting terminal system in all the planet covering all official fights from the smaller arenas to the big fives. And there is also underworld betting, where the risks are higher though sometimes the winnings can be better too. Many of the 'Mechs which take to the arenas of Solaris VII are little different than the fighting machines used in the battlefields of the Inner Sphere. However, given the unique aspects of these gladiatorial matches, many more are built around fighting in the Solaris Games. At first, such machines were customizations of existing designs or even scratch built, experimental one-offs of which there have been too many to count. Eventually, a small weapons industry built up on Solaris around providing 'Mech designs specifically for gladiatorial combat. Firms such as Solaris Arms, Vining Engineering and Salvage Team, and many others produce small batches of arena 'Mechs, closing down and reopening lines as customer demands or technological upgrades warrant. Many such 'Mechs are as much works of art than tools of war. Frequently these designs make use of experimental weapons and equipment which haven't yet or might be unsuitable for the battlefield but perfect for the arena, such as Fluid Guns, BattleMech Tasers or Claws. For a list of Solarian 'Mechs, see here. To find more information on every Solaris Games Denizen, see Solarian Games Denizens. ↑ Solaris Gamemaster's book, p. 11 "'Mech Cooperatives"
↑ 8.0 8.1 8.2 8.3 8.4 8.5 8.6 Classic Battletech Mappack, p. 13 "Arena Classes"
↑ Classic Battletech Mappack, p. 38 "Scenario Types - Weapons Dead"
↑ Classic Battletech Mappack, p. 45 "Rules - Arenas"
↑ Experimental Technical Readout: Royal Fantasy, p. 5 "PXH-7KJ Phoenix Hawk Jasmine"
↑ Experimental Technical Readout: Republic, Volume 3, p. 10 "LMT-2D Lament"
↑ Classic Battletech Mappack, p. 38 "Single Duels"
↑ Classic Battletech Mappack, p. 38 "Free-For-All (Grand Melee)"
↑ Classic Battletech Mappack, p. 38 "Team Match"
↑ Classic Battletech Mappack, p. 38 "Tag Team Match"
↑ Solaris VII: The Game World - Gamemaster's Book, p. 14 "Tag Team Matches"
↑ MechWarrior's Guide to Solaris VII, p. 125 "Solaran League of Independent Stables"
↑ Solaris VII: The Game World - Player's Book, p. 53 "Black Mountain Cup flyer"
↑ Main Event, p. 80 "Chapter 8"
↑ Main Event, p. 53 "Chapter 12"
↑ Experimental Technical Readout: Royal Fantasy, p. 22 "3146 Royal Fantasy Rules"
↑ MechWarrior's Guide to Solaris VII, p. 67 "A brief history of Solaris VII"
↑ 31.0 31.1 31.2 Classic Battletech Mappack, p. 16-17 "Non-BattleMech Venues"
↑ Classic Battletech Mappack, p. 39 "Flag Captures"
↑ Classic Battletech Mappack, p. 17 "And all the Games in Between!" ↑ Classic Battletech Mappack, p. 39 "Race/Gauntlet Match"
↑ Record Sheets: 3055 Upgrade, p. 7 "CREATING SCENARIOS"
↑ Solaris VII: The Game World - Player's Handbook, p. 21 "Gambling"
This page was last edited on 11 December 2018, at 05:16.